SIT's annual admissions period is held from January to March each year. During which, you will have the opportunity to find out first-hand from our faculty members as well as current students about the unique SIT education experience at the SIT Open House and SIT Discovery Day. Details about these events will be published leading up to the the admissions period. 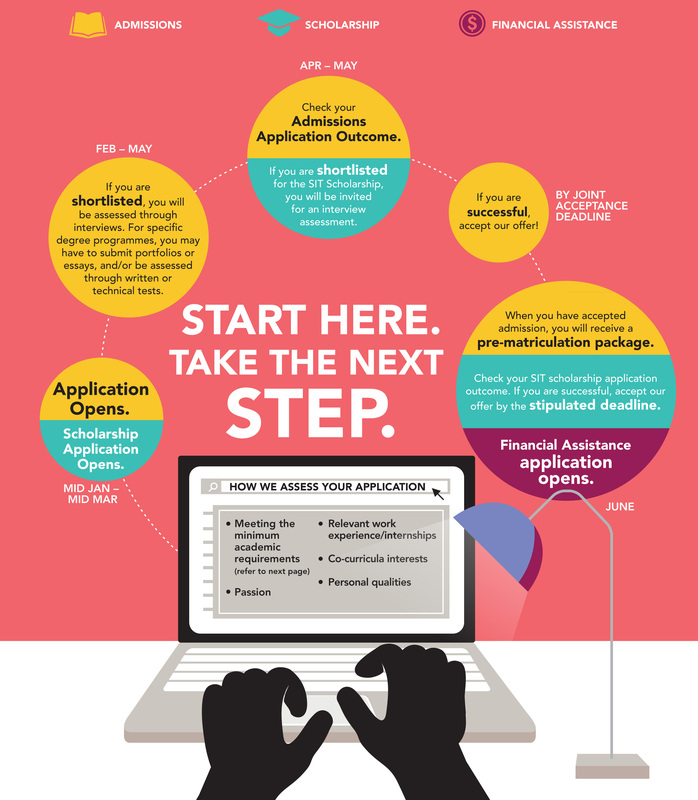 Please refer to the Undergraduate Application Guide for the steps to submit an application. *Above-mentioned dates may be subject to revisions. 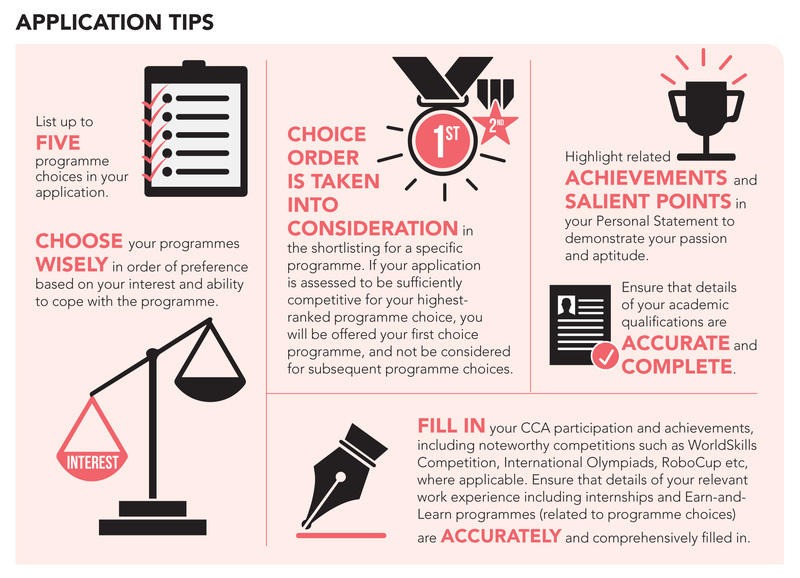 Singapore Institute of Technology (SIT) offers a variety of scholarships to deserving candidates that possess excellent academic achievements, leadership potential and other commendable qualities. These scholarships aim to encourage and motivate students to achieve their aspirations and goals. SIT is committed to being an institute of choice, one that rewards excellence and provides access to higher education. Through partnerships with industries and private donations, SIT seeks to continually offer new scholarships for its students.